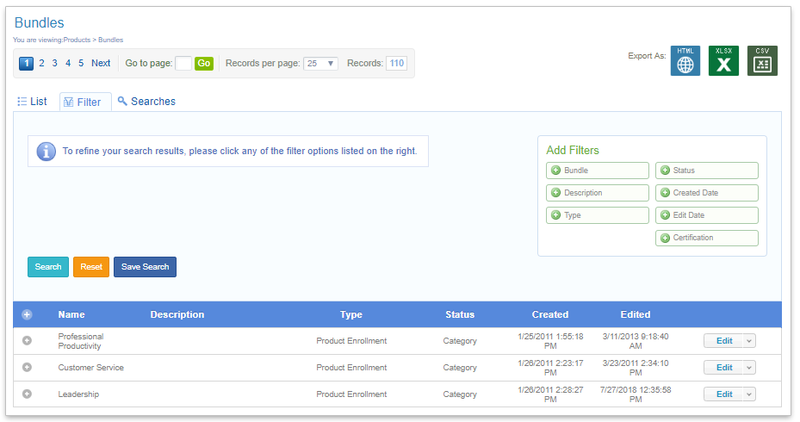 Like other management lists, you can export it, you can filter it, save your searches, and we also added a new filter to view bundles that contain the selected certification. This filter is particularly useful for clients using certification sets. To read more about bundles visit Managing Bundles. These changes will be available on April 3rd, 2019.